Magnet is a collaborative network powered by a job-matching platform that changes the way you connect with great talent. According to the 2014, 2015 and 2016 Ottawa Business Growth Survey reports, ‘Finding Skilled Talent’ remains the top issue for businesses in Ottawa. In response to this growing concern, The Ottawa Chamber of Commerce with Ottawa Employment Hub and other community partners have launched Magnet in Ottawa. The Magnet network includes over 30 universities & colleges, 240 community organizations, 90,000+ individuals and over 9,000+ employers and growing! 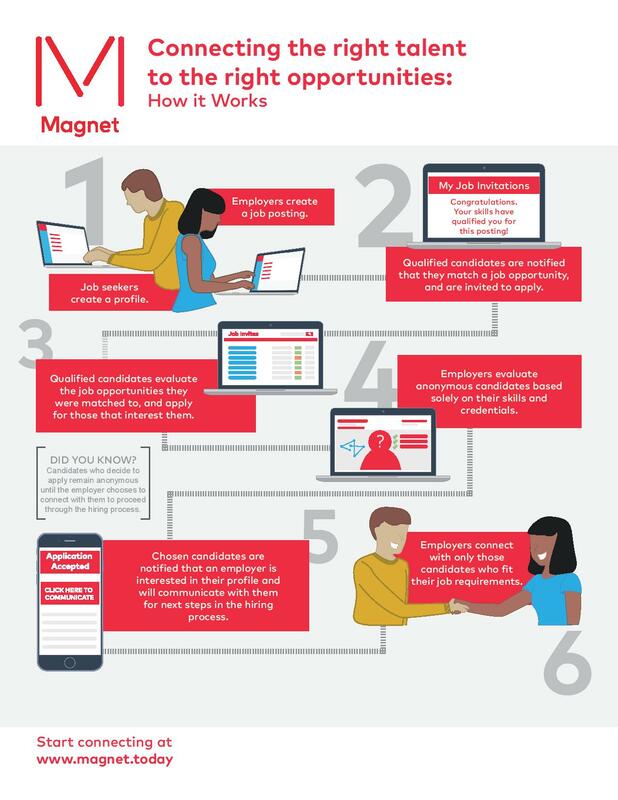 Why Magnet makes hiring the right talent easier? Expand your network: Connect with our growing network of over 90,000+ job seekers which includes members of diversity groups. Find the right talent with no hassle: Your job postings act as a search agent looking for ideal candidates based on your specified skills and qualifications, 24/7. Private and secure hiring: Magnet utilizes an advanced and protected recruitment model that can effectively, and efficiently promote diversity and support bias free recruitment strategies. Get more out of your time: Increase productivity by connecting with the right talent faster and lowering your search time from other job boards. Connect to the right talent: Review profiles and connect to students or to professional candidates. ‹ Calling all Ottawa business achievers under the age 40!